Running – Page 2 – Your Life. Your Hustle. In all seriousness I’m not that out of shape. I just clocked my 5k run time at 29:59 minutes. Granted it was on a treadmill so I had full control over my pace and speed (something I really lack at while running outside). If I don’t have a treadmill to pace myself I tend to burn out to fast because my pace is too fast at the beginning. I’m just so darn excited to be running outside! This blog post will serve as my running log and my path to this so called half marathon that I’m supposedly going to run in with my sister. Let’s do it! Keep in mind these runs are usually second workouts as I’m doing P90X followed by Insanity. I’ll be burning over 1200 calories a day while running 5Ks. Hoping that my excess weight will just burn away. 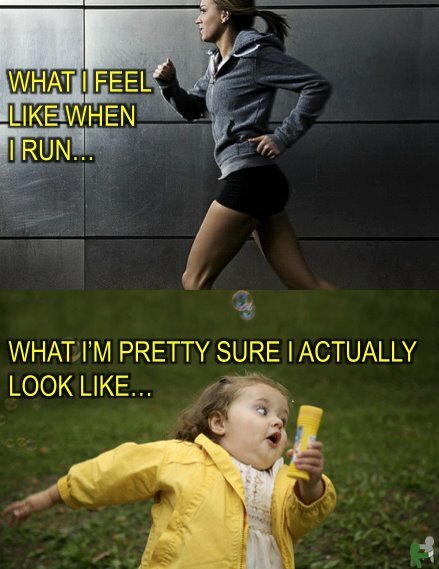 Let me just say I am NOT a runner. I grew up playing basketball and softball along with competitive swimming. So let’s get started with tonight’s warm up run. I’m not going to push myself to injury so if some of my runs look short (like tonight’s) it’s because I’m stopping before injury. I’m not going to “push” through it until I’ve lost at least 25 lbs. Day 4 (5/15/12) T-Storms causing the power to go out which messed with my treadmill something fierce!